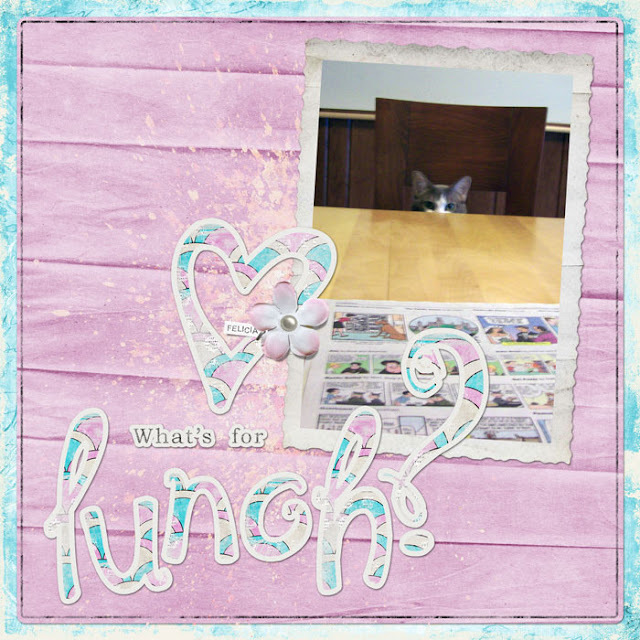 One of a Kind Design Studio: What's for Lunch? I received some sad news this week. My cat Felicia has cancer. The vet could not tell me how long she has to live. He said he does not believe she will have any pain until it reaches the end stages, so I am going to give her lots and lots of love and watch carefully to be sure she's not suffering. I really love this cat. So sorry about your sad news! I don't know which is worse, knowing that your animal is dying or them quickly dying.